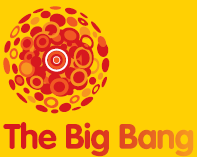 Registration for volunteering at The Big Bang UK Young Scientists & Engineers Fair (13th – 16th March 2014, NEC, Birmingham) and The Big Bang Near Me Fairs (June/ July 2014) is now open. There are ten fantastic volunteering roles on offer, half of which we are looking for volunteers from Science, Technology, Engineering and Maths (STEM) backgrounds for, specifically, to help inspire young people into STEM subjects. The Careers Cabin area will feature lots of careers activities such as the ‘Whose Crew Are You’ activities and ‘Meet the Future You’ – an activity involving STEM professionals and young people, giving the visitors a chance to meet and speak to volunteers working in STEM fields, through a series of games and discussions. There will also be ‘Careers Captains’ - speaking to young people about their experiences and answering questions as part of a competition young people will be involved in at The Fair. The Activity Demonstrator roles will involve either helping an exhibitor as a ‘Stand Assistant’- working with an organisation related to a volunteers STEM background to help explain and demonstrate the activities on their stand, or volunteering as an ‘Activity Demonstrator’ - running small activities on a small stand with another volunteer and working with the young people visiting The Fair.